‘Whatever happened, it was something that hasn’t happened before,’ is the view of Kenny MacNab, a Tarbert fisherman and chair of the Clyde Fishermen’s Association. 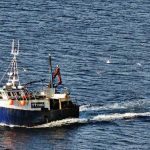 The 40 foot Nancy Glen was fishing for prawns on Thursday January 18 in familiar territory on Loch Fyne, off Barmore Island just north of Tarbert. The weather was calm and the water quiet. On board were 45-year-old skipper Duncan MacDougall with crewmen Przemek Krawczyk (38) and John Miller, aged 34. All were experienced fishermen. 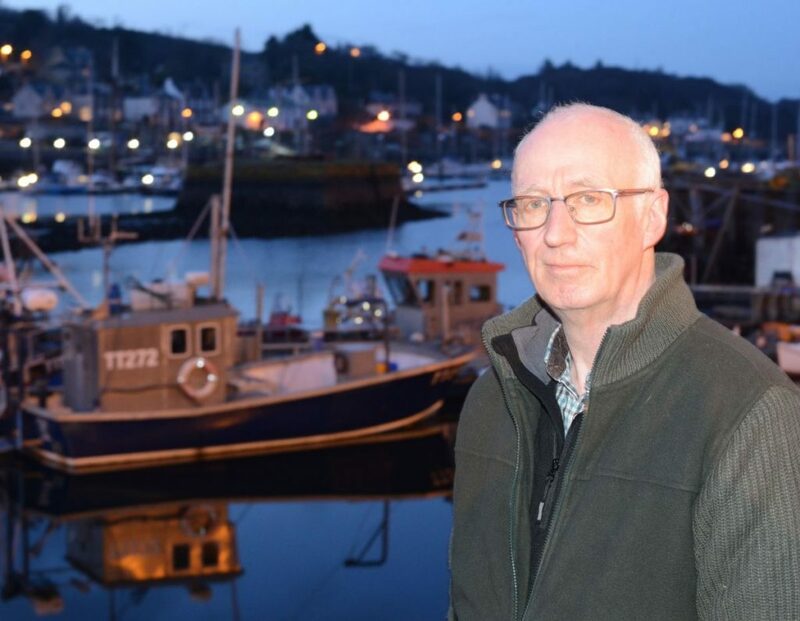 Duncan, from a long line of Tarbert fishermen, had taken over as full-time skipper of the Nancy Glen at the start of last year and had been at the fishing since his school days. Przemek, known locally as ‘Shemic’, had himself been a skipper and was described as a good deckhand and a very good worker. After going out fishing with the MacDougall family since he was a young teenager, John Miller started full time when he was 16 – some 18 years ago. Whatever it was that happened, the 40 foot boat is said to have capsized around 6pm. 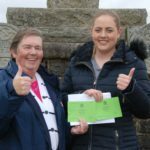 A big search and rescue operation was launched after a distress call was received first from the Nancy Glen by digital selective calling signal, then from a passing Scottish Salmon Company workboat, the Lady Inga, which managed to pick up John Miller from the water. RNLI lifeboats from Tighnabruaich, Campbeltown and Arran were involved in the search, supported by the Prestwick-based Coastguard search and rescue helicopter and Coastguard teams from Tarbert, Dunoon, Kames, Inveraray and Crinan. Onshore support was provided by Police Scotland, the Scottish Ambulance Service and local firefighters. They were joined by several commercial fishing boats, as well as the CalMac ferry Loch Riddon. The Loch Riddon and a fishing boat managed to attach ropes to the Nancy Glen, before a large Royal Navy supply vessel, the Northern River, joined the rescue effort. With a 50 tonne crane on board, the crew of the Northern River were attempting to get strops round the boat for lifting, but the ropes broke and the Nancy Glen sank, stern first, at around 8pm. A remotely operated underwater vehicle (ROV) was deployed from the Northern River, managing to attach a location finding transponder to the hull as the boat lay on the bottom. John Miller was taken to Mid Argyll Hospital for treatment. 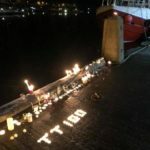 His crewmates have yet to be found despite a continuing week-long search by Tarbert fishing boats and Coastguard shore teams. Investigations are underway by the Marine Accident Investigation Branch and Police Scotland.